Well wasn’t that an exciting first week? And what a close round! 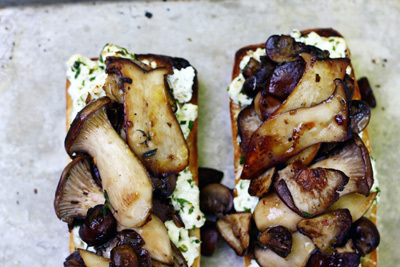 If you haven’t already heard USA took home the GOLD the first round with Tracy from Shutterbean creating a spectacular Caramelized Mushroom and Shallot Bruschetta for the Breakfast Battle. 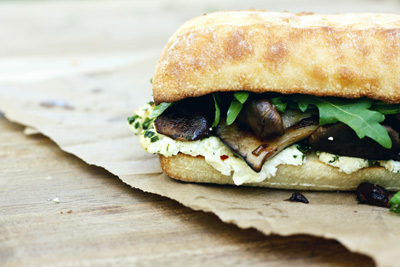 Representing Canada this week is Tara from Seven Spoons with her mouthwatering Butter Roasted Mushroom Sandwich recipe. She will be up taking on some talented competition with Rachael from La Fuji Mama (US) and Alana from A Morish Distraction (AUS). Tara O’Brady spends most of her days cooking, reading Dr. Seuss, baking, playing with trains, taking photographs, and finger painting. She writes about lots of it on her award-winning food blog seven spoons, or in UPPERCASE magazine. 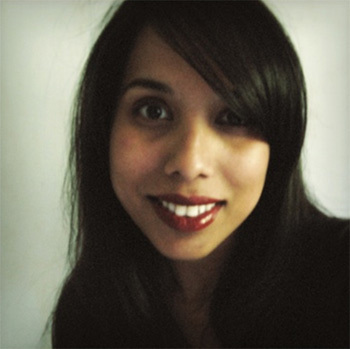 She’s also written for Saveur.com, Parenting.com and Kinfolk magazine, among others. She lives with her husband and their two young sons in a brick and wood house on a quiet street in southern Ontario. Since it’s just the start of September, I wanted to make a lunch that still has some freshness; this sandwich has the brightness of goat’s cheese, the twang of lemon zest and a generous amount of herbs. Parmesan brings richness and melting goodness, while chili flakes add personality and zip. Even with all of that, the mushrooms are the star – crimini, shiitake and king oysters are pan-roastsed in butter until their bouncy flesh goes dense and robust. The mushrooms squish into the melted cheese, the textures are matched perfectly and the rounded flavours of one grants gusty oomph to the creaminess of the other. If you’re going for extra points, go right ahead and use a panini press to smoosh the sandwich together and crisp the bread’s exterior. It’s not a necessary step, but it’s a nice one. In cooler months I might forgo the chèvre and go all the way with something gloriously gooey like Fontina or Gruyère, but for now, this is just right for me. 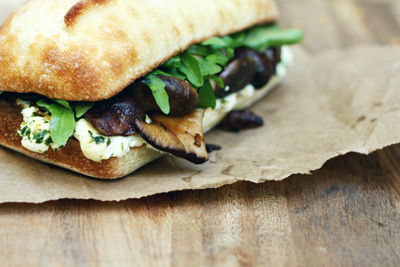 Head on over to Tastepotting to vote for Tara’s Butter Roasted Mushroom Sandwich Recipe now! 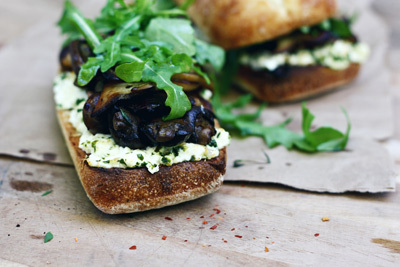 TIP: You can follow the contest by subscribing to Mushrooms Canada’s Blog Feed. Just click here to sign up! You don’t want to miss this contest!